Imagine having a source in your congregation life for sharing celebrations and dedications, for walking together in ritual and ceremony, space for personal centering and meditation, blessing and gratitude. A place where all are welcome. The labyrinth is an ancient pattern offering a space and time for individuals and groups to experience a way of centering and reflection. In the workshop, we will hear a brief story of the labyrinth's history, then move into the day's experiences on the labyrinth. In a world where it is too easy to forget the power of living in blessing, too easy to fill the spaces with business, the labyrinth invites us to take time to remember, to let go. We will conclude the day with a labyrinth walk. This workshop serves as a qualifying workshop for the two-day Veriditas Facilitator training, an intensive training time for those who want further in-depth experience and knowledge. For more information, or to register for this event, please click here. For more information about the Liturgical Arts Conference this event is part of, please click here. The Reverend Dr. Kay Mutert has been working as a Master Teacher with the Veriditas Worldwide Labyrinth Organization since 2008, offering labyrinth workshops in awakening new creative energy, community building, and spiritual formation. Her Master Teacher responsibilities include training new facilitators and renewal training for those trained in past years. She works with organizations to establish labyrinth communities, to hear the hopes of a setting and translate that into an ongoing vision. In her workshops and training she holds the space for participants to discover and develop their own gifts and skills, and to build community. As a part of the Veriditas faculty, Kay has been a member of the Veriditas Council, Southeastern USA regional representative, and a musician. When she left her local church ministry Kay created "DaySpring - a source of creative expression and renewal of spirit", as a conduit to work with an increasingly larger circle of community. Through her labyrinth work, she uses her experience as musician, minister, teacher and spiritual accompanist with groups and individuals from diverse arenas of life, inviting them to discover the possibilities of the labyrinth to experience a reconnection with the sacredness of life, to find language for their setting. 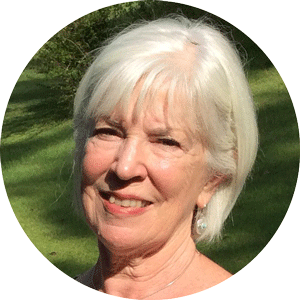 Kay's work helps others find ways for renewal of mind, body, spirit and creative energy, through retreats, workshops and sacred events. As a pastor, Kay served congregations in the United Methodist Church and the British Methodist Church, a local ecumenical partnership in England, and an interim ministry with the Presbyterian Church USA. Before that she worked as a music educator/church musician in Florida and Alabama. She is a conductor, composer and pianist, incorporating her music into her events. Her work has included compositions and concerts for those affected by cancer and AIDS, connected with her own journey. Kay has serves as relief musician and program presenter at Iona Abbey in Iona Scotland, and is a past associate of the international ecumenical Iona Community based there. Building her interest in helping others discover the wealth of meaning for today's world in the ancient Celtic spiritual story, she is a guest presenter and retreat leader, leads pilgrimages to Iona and other sites, has assisted in Chartress pilgrimages. She offers workshops and worship experiences utilizing the resources of Ions, Taize and global music. Kay believes the ancient archetype of the labyrinth serves as a strong source of possibility for today's world, in meditation, reconciliation, peace-making, for young and old, for cross-cultures, creativity and healing, for community and personal use. Through her experience in a variety of settings, she honors the non-verbal expression of meaning as felt in the labyrinth, through sound and silence, movement and stillness. Kay holds a BS from Mississippi State University, MA from University of South Florida, EdD from University of Alabama and MDIV from Chandler School of Theology. Her published works include a set of her musical compositions - Songs for the Journey, with texts by Reverend Joe Elmore and artwork by Dan Roundtree; a piano CD by Karen Krekeberg - The Joy of Two; along with other miscellaneous creations. Her book Seasons of Change is a memoir of her Jubilee year's tradition into pastoral ministry while living in the Midlands of England. She is a contributor to the recently published book Sacred Habits: the Rise of the Creative Clergy, Chad R. Abbott, Editor. "I encourage anyone interested in becoming a labyrinth facilitator to add this to their calendat! I met Kay Mutert on a spiritual pilgrimage to Iona, Scotland several years ago. She is a wonderful teacher, musician, minister and labyrinth facilitator...and I might add 'friend'!" Veriditas is dedicated to inspiring personal and planetary change and renewal through the labyrinth experience. 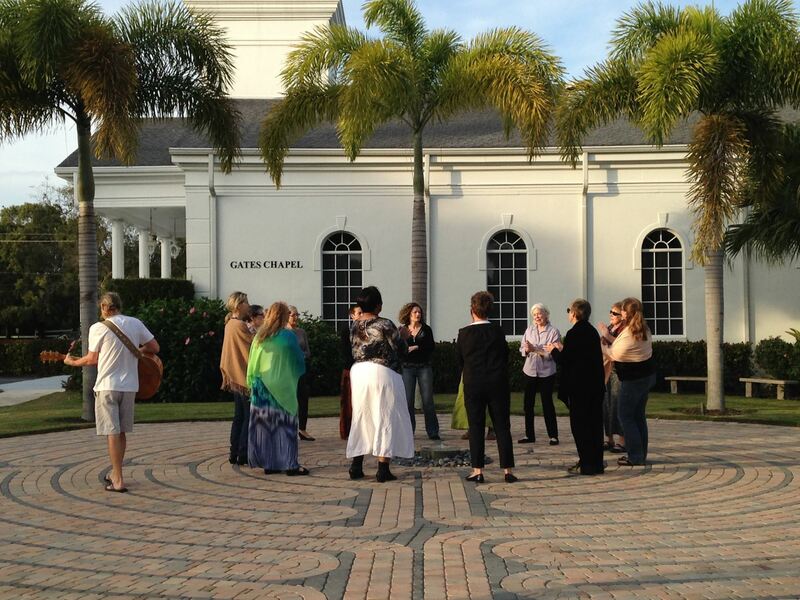 We accomplish our mission by training and supporting labyrinth facilitators around the world, and offering meaningful events that promote further understanding of the labyrinth as a tool for personal and community transformation. Our Vision is that the labyrinth experience guides us in developing the higher level of human awareness we need to thrive in the 21st century. © Veriditas 2018. All rights reserved.